Al Noor Training Centre invites you to be a part of Smiles n’ Stuff Friday Promotion which is an opportunity to do good starting November 4, 2016. Dubai, UAE: Creativity is a gateway towards self-expression and paves the way for satisfying one’s soul. At Al Noor Training Centre, creativity plays a major part in shaping its community of learning. The students are given the opportunity to express themselves through creating artistic and awe-inspiring products that will spark the artist within you. You can be part of the students’ journey by joining Smiles n’ Stuff Friday Promotion which will be held at the Smile n’ Stuff Store in the Al Noor Training Centre premises Gate 3, Al Barsha 1, behind Mall of the Emirates on all Fridays of November i.e. 4th, 11th, 18th and 25th from 9am to 8pm. The Smiles n’ Stuff Friday Promotion will provide a platform for students with Special Needs to reach out to more people and promote their exceptional products to the community. This event will open your eyes to the endless possibilities that education and training can do in helping students with Special Needs in discovering their potential to make a mark in this world. You will be truly impressed by how the Centre has molded students’ ability and skill by providing vocational training in the fields of wood design technology, printing technology, fashion technology and bakery units. The Smiles n’ Stuff store is the only place where you can buy a smile and is Al Noor Training Centre’s very own branded retail outlet. It is the pioneer store in GCC and has been a hub for the things created by the students. As soon as you step inside the outlet, you will instantly experience euphoria and be transported to art wonderland. There are numerous things that you will unravel at Smiles n’ Stuff store, but your biggest discovery will be the ability and dedication of the students which deserves recognition. The product range includes home improvement items, fashion accessories, decors and a lot more. Purchasing the items will be a means of extending a hand to Al Noor Training Centre by creating a sustainable income stream and supporting its cause in uplifting the lives of its students. Customers don’t need to shell out big amount of money as the products will be available at reasonable prices. Smiles n’ Stuff store will be offering an attractive discount of 25% on all items for walk-in customers. There will be a wide range of products to choose from. The event will also be a perfect family outing with the kids as there are fun activities like face painting, balloon bending and bouncy castles for them. You can contact the SCR Department of Al Noor Training Centre via email at smilesnstuff@alnoorspneeds.ae or call the Centre on 04 340 4844 to get to know more about this great initiative. Al Noor Training Centre has been enriching the lives of those with Special Needs for numerous years. Tapping into students’ creativity has been an essential approach in bringing out the best in them. Come and witness for yourself the inspiring work that they do by participating in Smile n’ Stuff Friday Promotion this November. Under the Honorary Patronage of H.H. Sheikh Mansoor Bin Mohammad Bin Rashid Al Maktoum, Chairman of the Supreme Committee for the Protection of the Rights of Persons with Disabilities, Al Noor Training Centre for Persons with Disabilities is a non-profit organization operating under the Ministry of Community Development. Established in 1981, Al Noor has been providing high quality of professional training to the special needs community in Dubai for over 30 years. Starting with only 8 children the Centre has since expanded to facilitate and enrich the lives of up to 300 children and young people from different nationalities who have various physical and cognitive challenges such as Down syndrome, Cerebral Palsy and Autism. The new all-purpose facility from which Al Noor now operates opened its doors in April 2007 and was generously donated by His Highness Sheikh Mohammad Bin Rashid Al Maktoum, Vice President and Prime Minister of the U.A.E. and Ruler of Dubai and was made possible through the benefaction of HRH Princess Haya Bent Al Hussein. Al Noor follows a holistic programme addressing all domains of development through a Trans disciplinary assessment and intervention approach, all delivered at an ISO certified standard. In addition to teaching, the level of development is enhanced with Physical Therapy, Occupational Therapy, Speech and Language Therapy, Psychological services, Sports and Music. Al Noor also prides itself on an exceptionally effective work placement unit that trains its students with a capability for open employment, integrating them into mainstream society post education. A particular star of the Al Noor’s fundraising achievements is the Centre’s very own Branded Retail Outlet – Smiles ‘n’ Stuff which helps to raise awareness and funds for the training Centre. 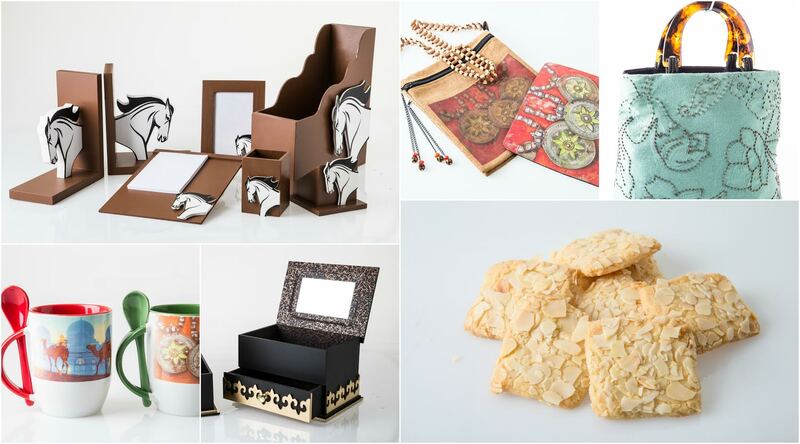 It is the only one of its kind in the GCC where all the products are handcrafted by children and young people with special needs enrolled at Al Noor. The goal of Al Noor’s vocational training unit is to make children skilled and productive members of the community and training is offered in Wood design technology, printing technology, fashion technology and Bakery units.